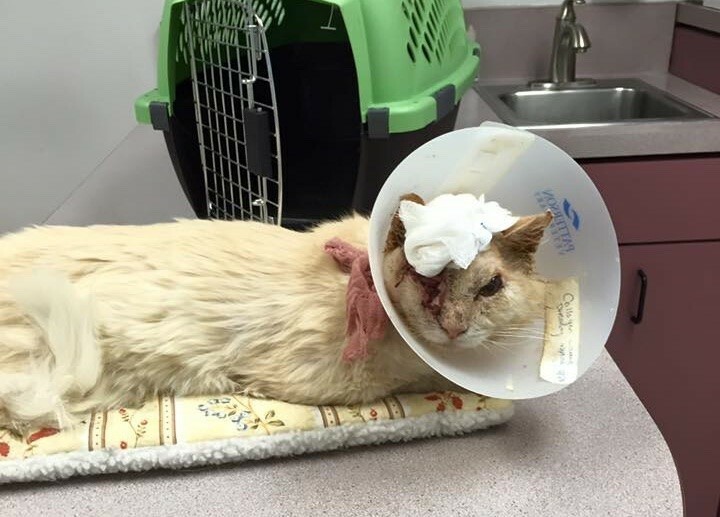 His Friendliness Almost Cost Him His Life, But This Cat Continues to Love and Trust.. 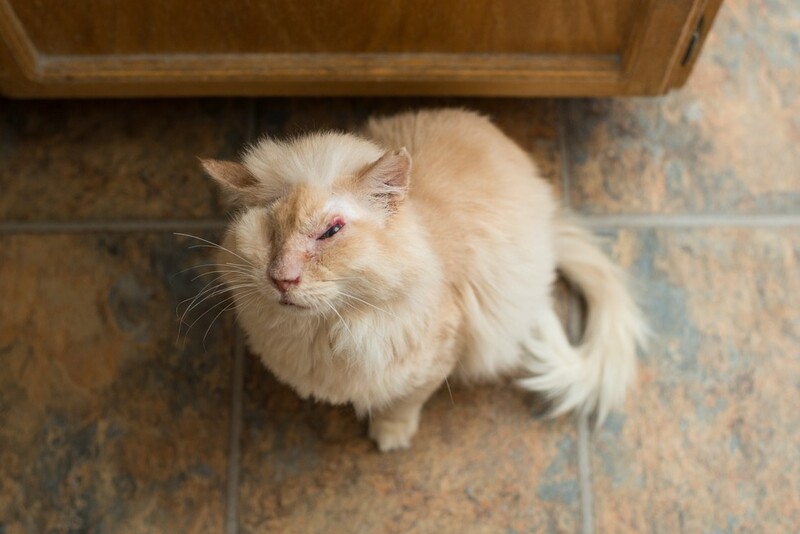 This friendly stray cat, who was doused in acid and lost one eye, walked to the people he loved to get help. 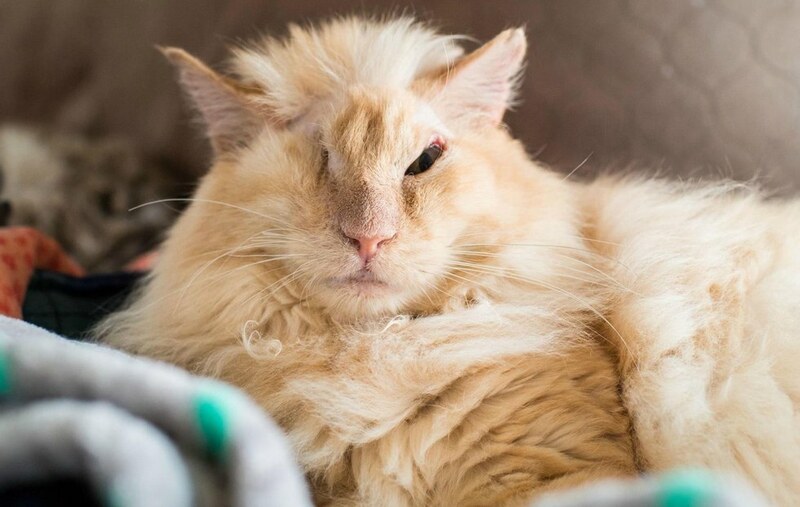 Meet Thomas the miracle cat. 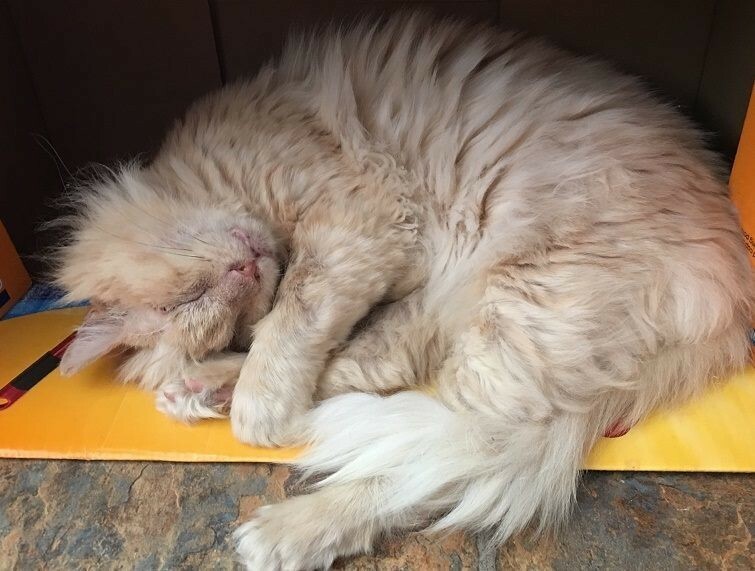 “Sir Thomas Trueheart was living the life of an outside, unwanted cat in the high desert of California,” Casey Christopher shares with Love Meow. Some kind folks had been feeding him while he was wandering around, living a life without a home. No one knew exactly how it happened, but Tommy’s face was doused in acid. Half of his face was severely burnt and he lost one of his eyes. “He wandered for days in agony and found his way back to the people’s house who were feeding him. 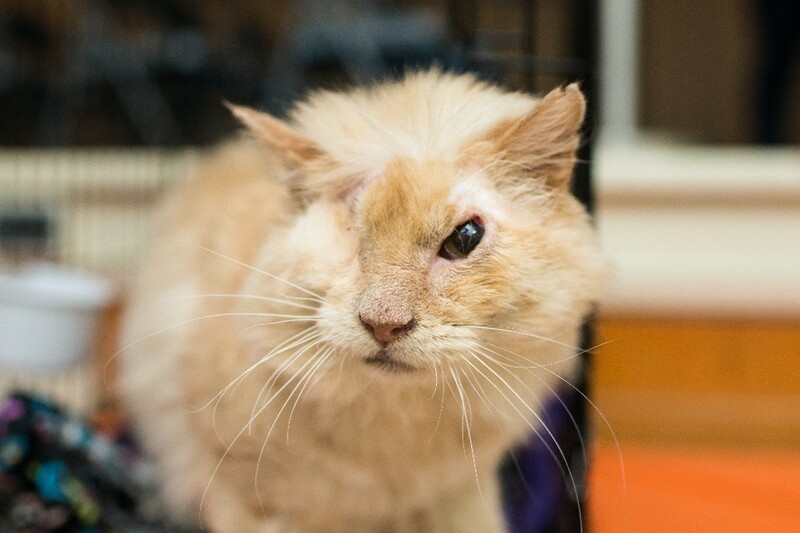 They immediately took him to a vet who had NO idea what they were doing,” Casey said. The vet gave Tommy some antibiotics, and later tested him to be FIV+. The only advice they could give was to euthanize him. But the family, who rescued Tommy, refused to let that happen. 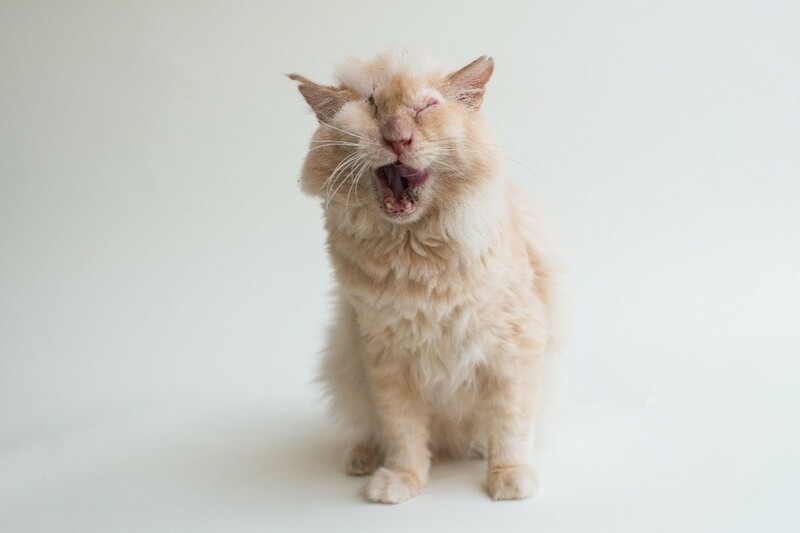 They reached out to Milo’s Sanctuary, a non-profit rescue that specializes in providing care for special needs cats, for help. Milo’s immediately jumped into action. 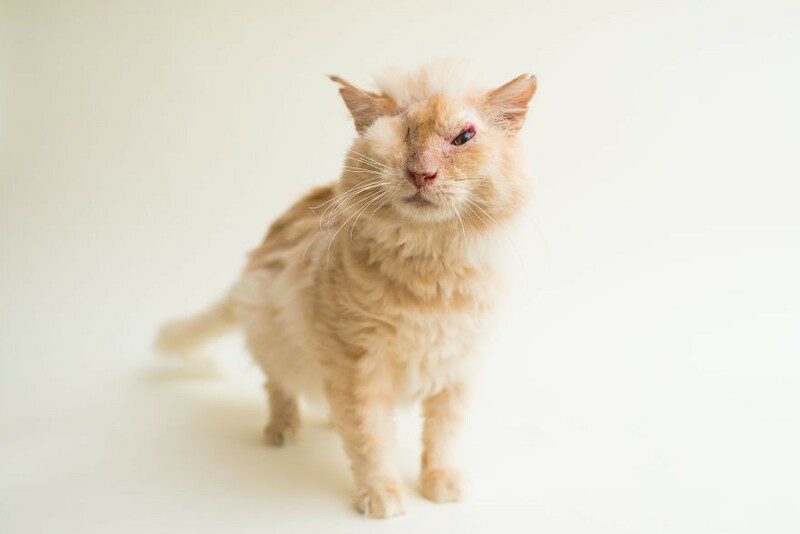 They rushed Tommy to their clinic, and he stayed there for over a month on antibiotics, pain medications, and sugar bandages to help his wound heal and granulate. This resilient little boy is full of love. 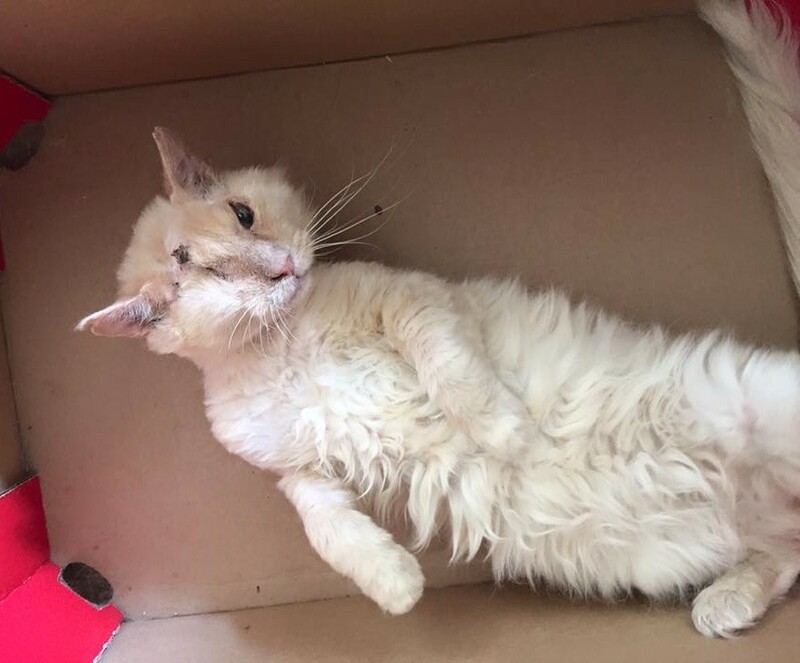 Despite his traumatic past, Tommy has bounced back and hasn’t stopped purring and giving kisses to his rescuers and caregivers. 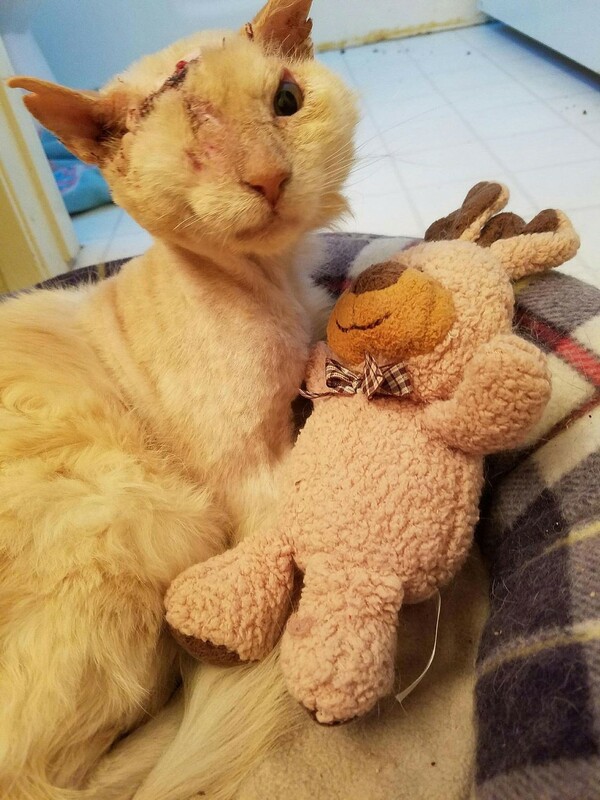 “Tommy got to go to his Lifetime Care Foster home where he continues to heal and get lots of love and attention,” Casey said. No matter how cruel the world may be, Tommy continues to love and trust. He has a forgiving heart and a wish that someday he will have a place to call his forever home. Tommy is doing very well and has grown a magnificent lion mane. 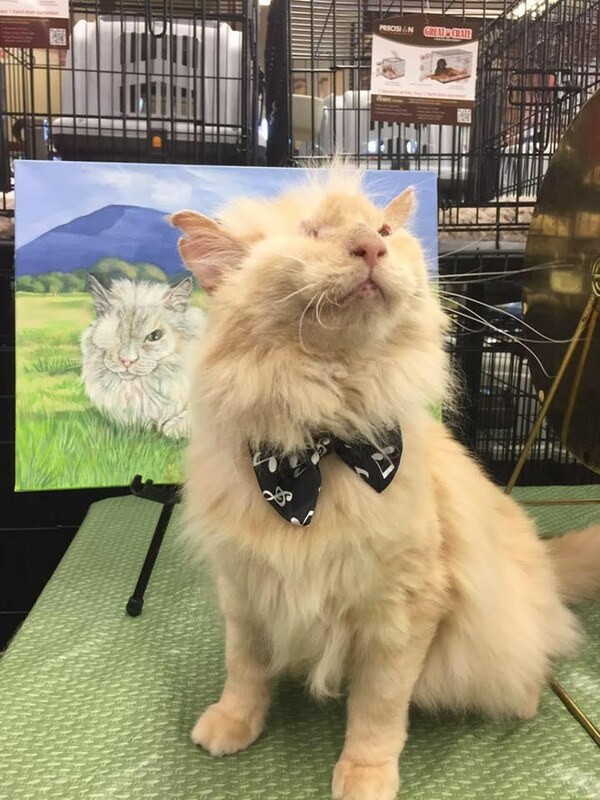 The handsome boy is so proud and very dapper! Share this story with your friends. If you would like to support their rescue efforts, click here to see how you can help. Follow Tommy’s updates and Milo’s rescues on Facebook. Lioness Finds Injured Baby Fox On The Road – What She Does Brings The Photographer To Tears!